An interagency task force has been created to harmonize performance monitoring of agencies -- with the participation of the private sector -- to further improve governance and budget use. Administrative Order (AO) 25, signed by President Benigno S. C. Aquino III on Dec. 21 and effective immediately, seeks to develop a unified monitoring system to cut inaccuracy and inefficiency in performance evaluation and reporting on targets. 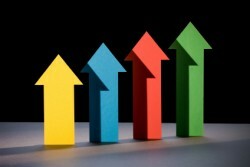 Agencies currently employ different performance monitoring and reporting systems, namely, the Results Matrix (RM) used by the National Economic and Development Authority (NEDA); Organizational Performance Indicators Framework (OPIF) by the Department of Budget and Management (DBM); Strategic Performance Management System by the Civil Service Commission; and Career Executive Service Performance Evaluation System by the Career Executive Service Board (CESB). All systems shall be integrated in a Results-Based Performance Management System (RBPMS) with RM and OPIF as the basic framework, AO 25 stated, which will then be used by agencies with broad oversight functions. The interagency task force is co-chaired by the Department of Budget and Management and co-chaired by the Office of the Executive Secretary. Other members of the task force are: NEDA, PMS, and the Department of Finance. Meanwhile, the CSC and the CESB shall be involved in the task force in order to align the current systems with the proposed RBPMS. The Commission on Audit and the Office of the Ombudsman may also be invited by the task force to provide insights on the harmonization process. In addition, the private sector will be involved in the task force through the National Competitiveness Council (NCC), a government sector composed of members from both the private and public sector, for inputs. “We have really been involving the NCC with streamlining processes. It is a government council... but because it is more in direct contact with private sector, we have started to involve them in the meetings... for faster implementation,” said NEDA Director-General Cayetano W. Paderanga, Jr. in a telephone interview. Executive Secretary Paquito N. Ochoa, Jr. said yesterday that the scorecard system is a commitment of the government to sustain US funding for development projects. 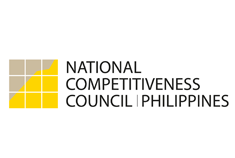 “In order to attain Millennium Challenge Corp. compact status, the Philippine government had previously committed three policy improvement processes to further improve good governance. One of them is the introduction and institutionalization of a balanced scorecard framework,” he said in a statement. When Mr. Aquino approved the 2012 budget, he instructed his economic team to draw up a reward system for agencies that implement projects on time, with additional income and cash incentives. President Aquino has directed the task force to submit to him within six months its recommendation on the RBPMS through the office of Mr. Ochoa. Funding for the task force shall be provided for by the DBM.